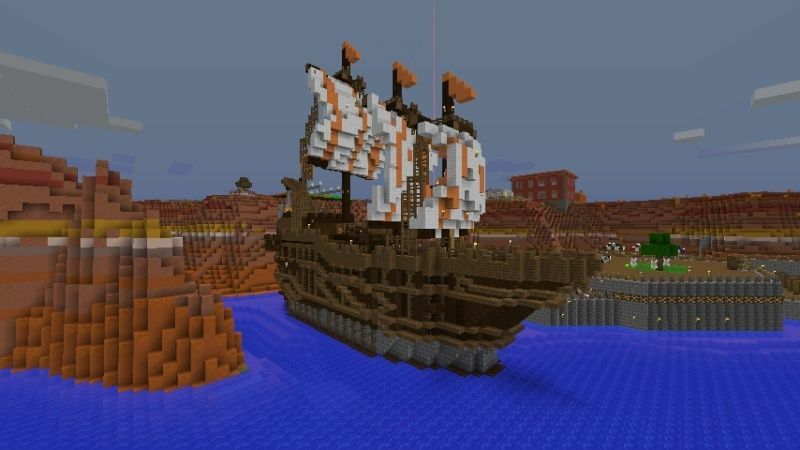 To compete, build your ship anywhere on the server and message either myself or Skarekrow21 (Fleet Captain Fox) when you are happy with your build and are ready for it to be judged. You can use images to help you with your build. But make it as original as possible without copying or using tutorials to aid you. I am gonna enter, and I am gonna win. Ill be entering with a mushroom ship, for the mushroom kingdom. Maybe a future suggestion - have people take a SS and upload on the website to display their contests. Not only does this promote forum activity, but can help for the 'mericans and other rubbish time zone guys. Then just get them to list co-ords or pm a mod after they win if its to be relocated. This way nobody will miss out due to location. Sounds good. lol rubbish tome zone guys. You know im one of them right? I had to cut down an exact number of 1 trees to make the 3 x 4 raft PLUS the addition of FENCES!